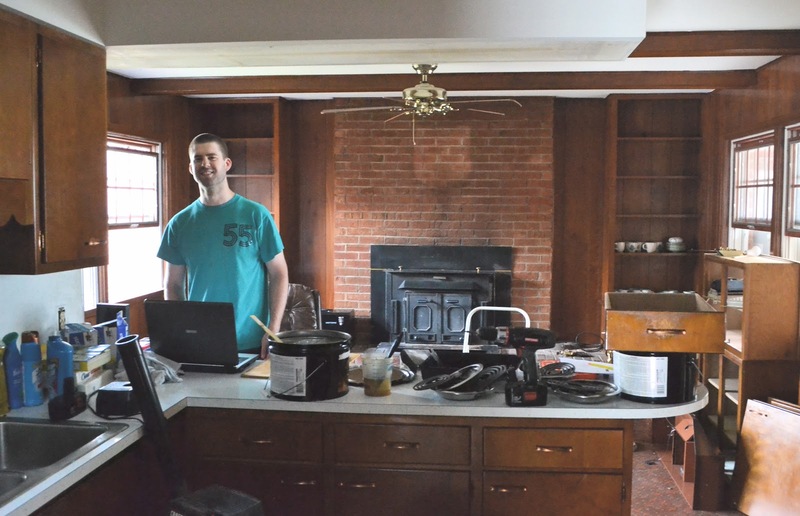 the hill house: happy 1 year, kitchen! It has officially been one year since we moved in to our home. In order to recap all that has changed with each room, I plan on posting the full renovation processes we have taken on so far. 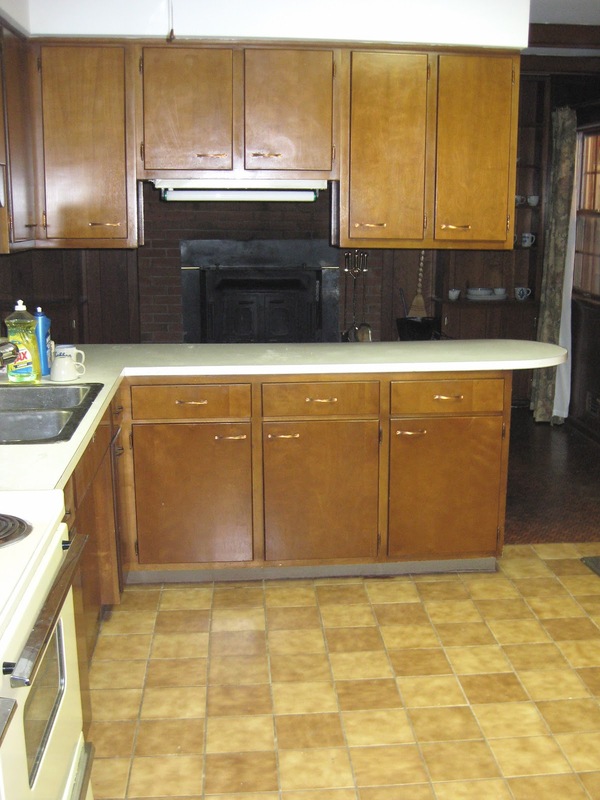 To kick it off, we will start with our kitchen. When we first saw the house, the majority of the kitchen/hearth room area was brown. 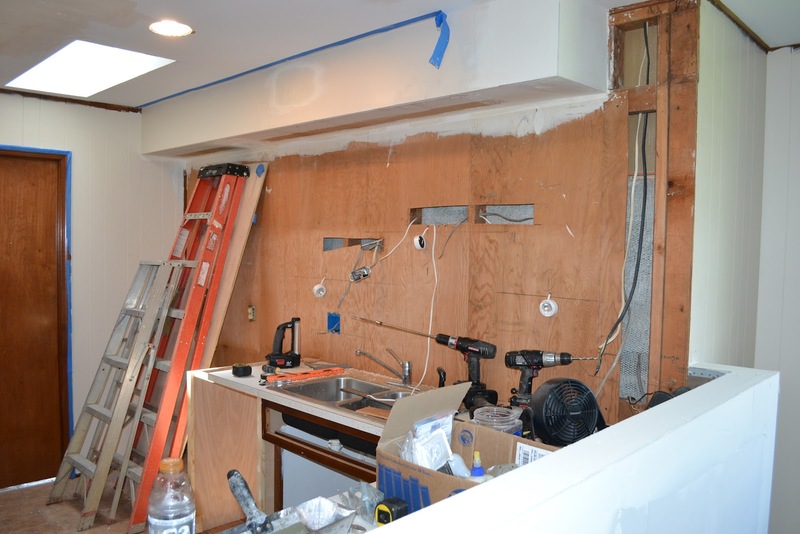 I could kick myself for not taking more photos of the kitchen before we began renovating. We first saw the house in December of 2010 when we were in Louisville visiting Gentry's parents over Christmas break. I have always loved interior decorating, but I had never taken on a huge project before. The first time we walked through the house I began having tons of ideas in my head of the different things we could do.  It was a bit difficult to see past all of the brown, but pretty soon we had a color pallet picked out, & a new floor plan in place. 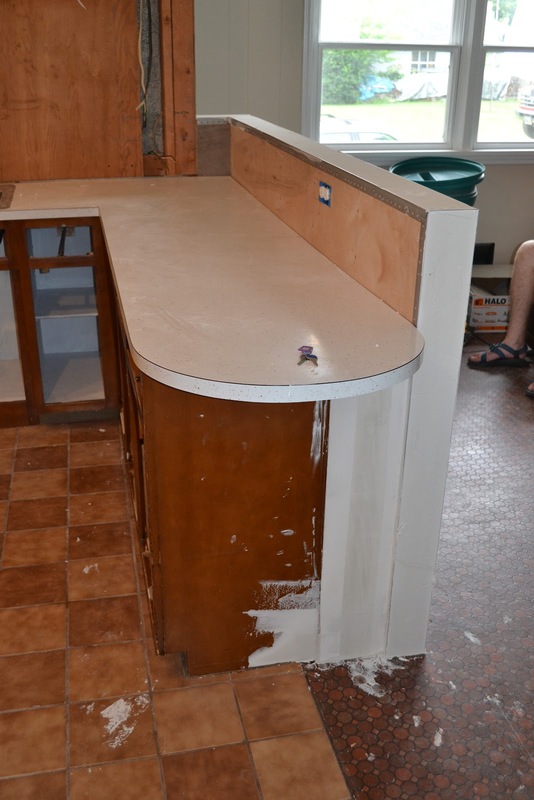 We did not end up painting the upper cabinets white, but we did follow it pretty closely with other things. We chose paint colors while Gentry was working at Lowe's in Jackson, TN. We used Valspar's white high gloss for the inside of the cabinets & all of the trim & crown molding. We also purchased the refrigerator & oven there after they had a water leak that got the boxes wet, but nothing was damaged. 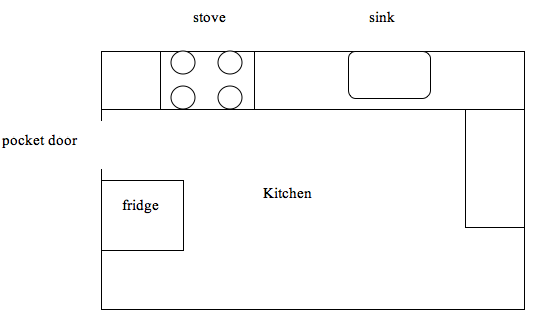 We paid less than the original refrigerator price for both appliances. The next phase was the gutting phase. We began this process in late June 2011. The house was miserably hot, & the fumes were pretty strong from time to time. We started by taking down the overhead cabinets above the bar area. 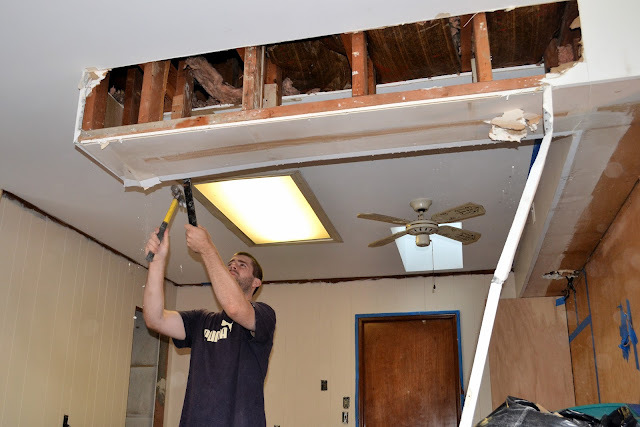 Then we took out the soffit & patched up the ceiling. Then we took out the fluorescent light & the small fan & installed three can lights. We also took all the other cabinets out along with the drawers and lower cabinet doors. 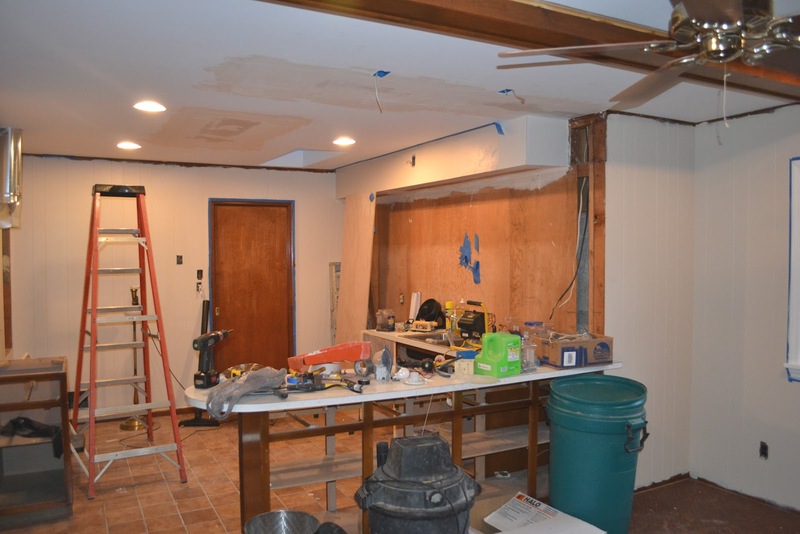 Then the half wall went up to separate the kitchen & hearth room. The next step was to install the electrical in the walls before putting the cabinets back in. 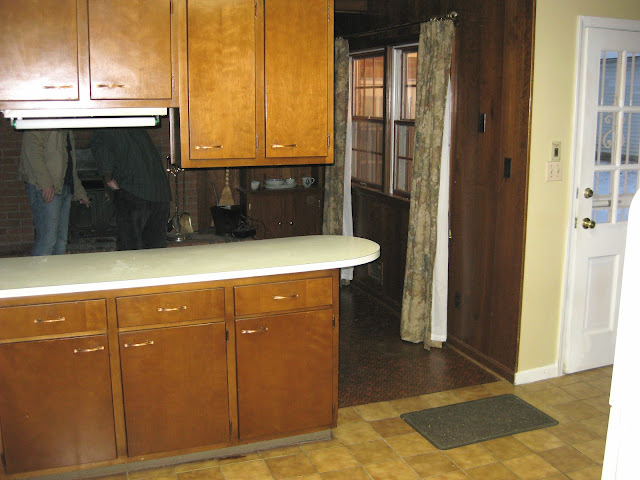 We also created a space for a new dish washer since the original kitchen did not have one. 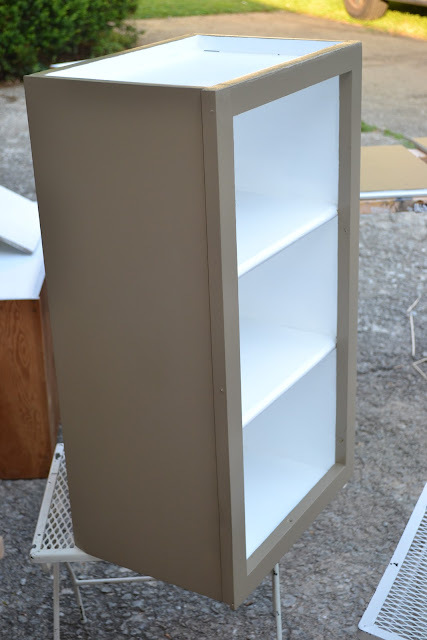 I painted all of our cabinets outside. We decided to go ahead & give the insides a fresh coat of glossy white, which ended up making them feel new. 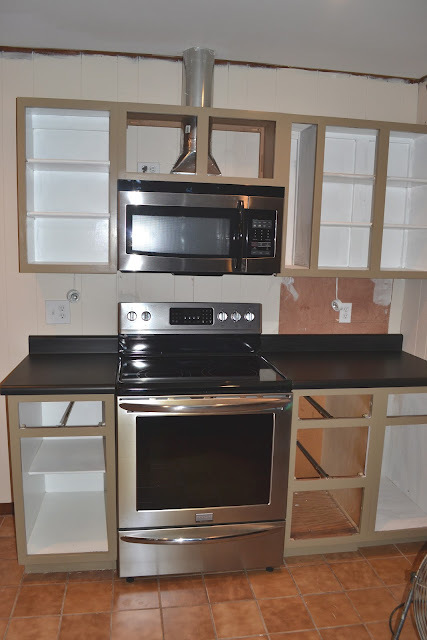 We put the cabinets in, then installed the appliances. 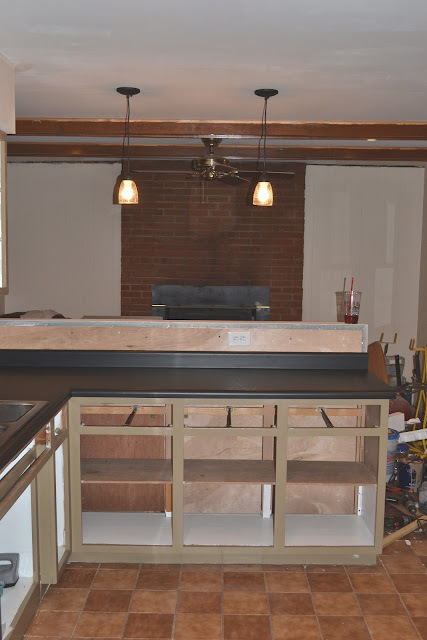 We ordered our black counter tops from the company that supplies them for Lowe's & ended up saving a ton of money by picking them up there & installing them ourselves. 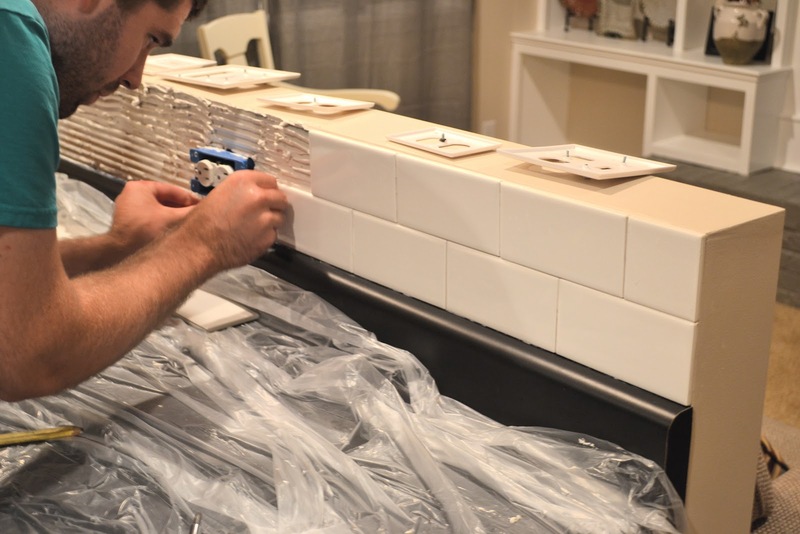 Eventually we installed the white subway tile back splash. & there you have it. 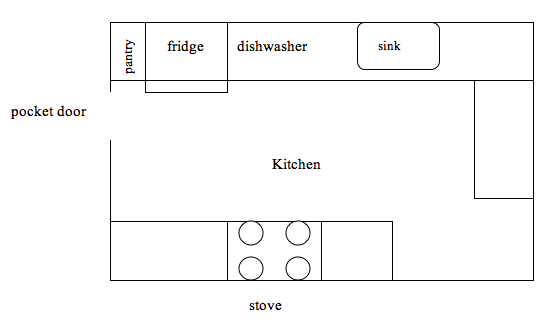 We love our kitchen! We are basically done with this room of the house, & have really enjoyed how it turned out. Really love everything about it Alli!! You both did an amazing job! How you are skilled this early in your life is a testament to your abilities and who you hung around with to learn it! Really in love with the glassed in cabinets on the top! It all turned out so nice - not to mention the added value to your home! Love everything!!! Everything looks amazing an so fresh and clean!